Great question! 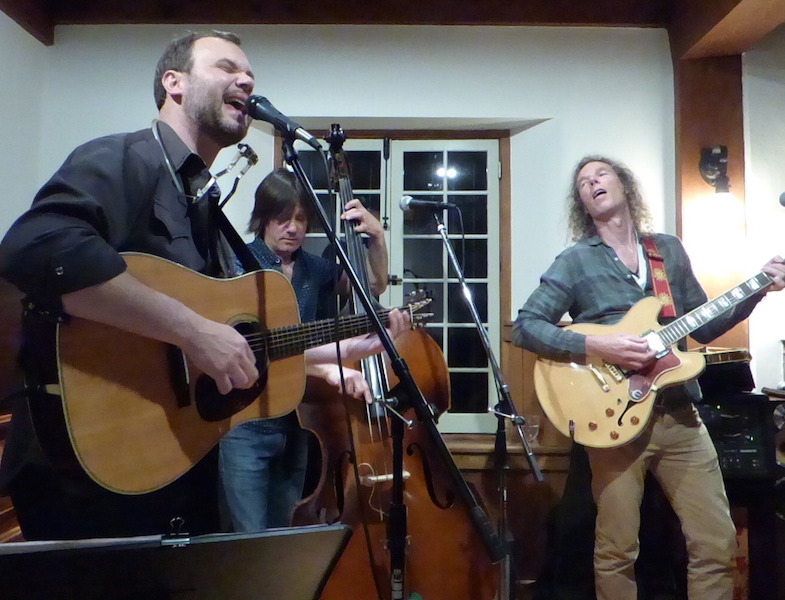 A house concert is an invitation-only, usually private, not-for-profit concert for guests in your home or other small, private venue. It is typically held indoors for 20-50 guests who contribute a donation to attend the show. The intimate setting allows you and your guests to truly experience the music and meet and mingle with the performers. A house concert usually includes snacks/drinks provided by the host or a potluck dinner where all of the guests pitch in. Why do you love doing house concerts so much, weirdo? Don’t call me weirdo! Whether I’m performing or listening, I love the all-too-rare experience of being up-close and personal with music. It’s my favorite way to hear and share stories. I also just love the community of the thing. What could be better than bringing together friends (and friends-of-friends) to eat and share music? What kind of space will I need? If you have a living room (or deck, in the summer) that’s around 12’ by 15’ or larger, you can do this! One of the charms of house concerts is that they tend to be cozy. If you just move some furniture around, you’d be amazed how comfortably you can set things up. All you really need is some space up front for a “stage” and some rows of chairs. (If you need extra chairs, ask your neighbor, Frank – Frank has lots of chairs). 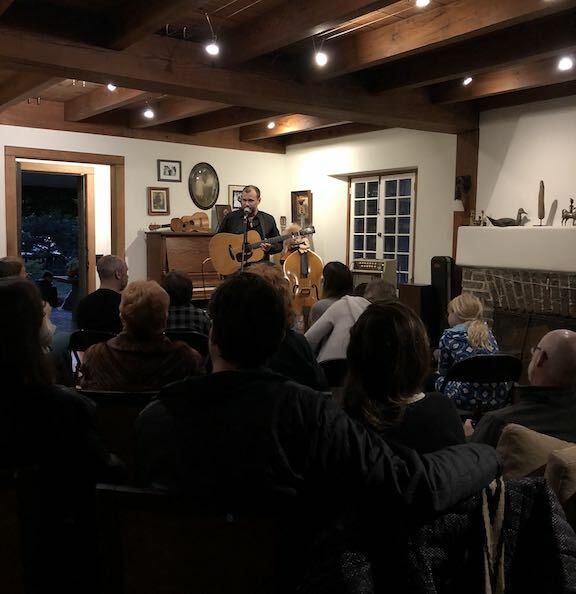 If you still don’t think you have room, there are many many other venues that can be turned into a house-concert-like environment: a community hall, church basement, barn, art gallery, or ask Frank if we can do it at his house since he already has all those chairs. Next, you’ll need to spread the word. It’s up to you who and how many people you want to invite (more on that below). If you want to open up the show to other members of my mailing list, great. You’ll love them – they have your same great taste in music. If not, that’s totally fine too. Either way, you can spread the word privately through email, Facebook invites and/or an easy-to-make Evite. I can send you a few sample invites: just cut and paste. Do I need to provide a sound system? Nope. I’ve got my own small sound system that will work perfectly. What do you think I am, an amateur?? My agent and I will work with you to determine a minimum contribution amount, which will depend on whether or not I’m performing alone and how far the show is from my home (or next show). To raise that contribution, you can structure the evening any way you wish: with a lower suggested donation and more guests, a higher suggested donation and fewer guests, or you can decide to just donate the amount yourself. I’ve done it every which way, and they can all work. How do I handle donations? If you plan to ask guests for a donation, you might consider encouraging them to reserve and pay ahead of time through a site like brownpapertickets.com. It’s the easiest way to limit the number of attendees, keep track of who’s coming, and know who’s already paid. If you’d rather just collect donations at the show, that can work too. A good approach is to plant a volunteer near the door to take donations as guests arrive. OK I’m convinced! How do I get you to my house? Wow, are you decisive! Just email me here and we’ll start figuring it all out.